Welcome to another UFO Update…..
To start us off, we have “Flying Saucer Bureau Reports Sightings In The Skies” (Gazetteseries.co.uk -posted 23rd feb,2008). It starts “AS MORE and more satellites are sent into orbit from Earth, sightings of Unidentified Flying Objects are also on the up, having risen from 97 in 2006 to 135 in 2007. Denis Plunkett, of Winterbourne, runs the British Flying Saucer Bureau and says that this number may make up just a fraction of the UFOs in the skies above us, once you take into consideration those sightings that are simply not reported and those that are kept secret by the Ministry of Defence” (extract from article). “Environmental activists might wonder what in the world do UFOs have to do with massive global environmental degradation in general and global warming in particular. Many of us in the UFO/ET community are beginning to make that connection and as that knowledge spreads beyond the UFO community environmental activist leaders will begin to grasp the connection” (extract from article). I still do not quite grasp this article, as we need to prove they exist first before continuing…. if they had said, let’s imagine; or given this scenario, where everyone believes in UFOs (and so on) then i could carry on…. but how the hell do we know what they are using anyway. 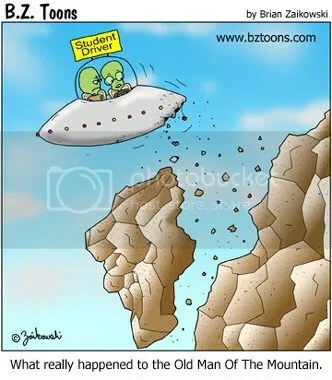 Also from opednews.com “Full disclosure: UFOs no longer Unidentified” (posted 26th feb,2008). It suggests you should buy a book on patents,ect for ufos from team fortune… i would suggest you should save your money. They may be patented, but this does not necessarily prove anything… i think i am right in believing, that these can just be a working model/concept, and not an actual working UFO (in full scale). They are interesting to look at as an insight into what processes are at work, what certain people/organisations are thinking,ect but that is it. “In 1952, in an attempt to cope with the public outcry concerning hundreds of reports of UFOs, the U.S. Air Force organized “Project Blue Book” whose primary objective was to collect and analyze citizen reports of UFO sightings. The chief scientific consultant for that project was a well-respected Northwestern University astronomy professor, J. Allen Hynek” (extract from article). It goes on to mention that Hynek’s opinion about UFOs began to change…. Later on it states “In a 1985 interview with Dennis Stacy, when asked what caused his change of opinion, he responded: It … “was the completely negative and unyielding attitude of the Air Force. They wouldn’t give UFOs the chance of existing even if they were flying up and down the street in broad daylight.” In the late 1970s, Hynek also told a group of students and faculty at Southern Illinois University-Carbondale that his team fudged the data on “Project Blue Book.” He said they could explain only 80 percent of the sightings, and the 20 percent that could not be explained were often omitted from reports, and then used by the team for more in-depth research” (extract from article). With the stance of the Air Force today, it seems not much has changed here then….and it is interesting that he mentions that 20% unexplained were not submitted to reports; thats food for thought, in relation to other reports too? The article also goes on to mention others, and also skeptics, and ends with “what are we to believe? Additional research is needed”. Indeed it is. 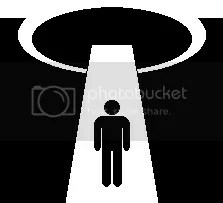 In analuisacid.com is the article (translated by google, posted late feb,2008) “The research ovni of Mezcala” there is quite alot of research done on the ufo sighting in Mezcala, in Mexico. 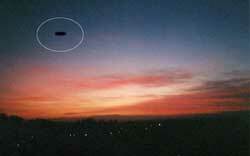 1 .- A large luminous object was observed for more than 30 hours by the inhabitants of Mezcala, Guerrero. The object was visible both day and night, from the early morning of December 31, 2007 until the morning of January 2, 2008. 2.- The object was accompanied by two other smaller, with a total of three lights unknown in the mountains of Los Filos (Cerro Bottom of Mines and Filo Mayor). 3.- The sighting of Mezcala is massive, witnesses are nearly the entire population, from children to seniors. 4.- All that concern was affected power supplies and that it varied in relation to the larger light, which had shades of blue. 5.- The observation of the lights was accompanied by strong gusts of wind. 6- A group of people was organized to investigate what was happening because the people were afraid, some were prey to panic and left town temporarily. 7- The group of more than 20 men, climbed 4 in 4 vans and motorcycles, to a place known as “V”. There were over two and a half hours, hoping to solve the mystery and restore calm in Mezcala. Of these I managed to interview one, Mr. Leonel Vazquez, who said they observed clearly a flying saucer, an object of discoid metallic appearance, doing a story for other interesting. 8- Circuló rumor of an alleged mark on the hill formed by the fall of UFO, it was said in a circular contained and crushed grass in the area, opening the possibility of classifying the sighting as a Close Encounter of the second type” (extract from article;translated by google). It goes into detail, and interviews witnesses, among other things. “Whether you believe in UFO’s or not, RETRO UFO (3) will take you beyond the typical UFO lecture hall of a hotel conference room and into a new, and nostalgic way of viewing the UFO phenomenon that has intrigued thousands for a millennia” (extract from article). For full details of convention see retroufo.com . The sthelensreporter.co.uk mentions “Strange lights spotted floating over newton-le-willows” (posted 29th feb,2008). 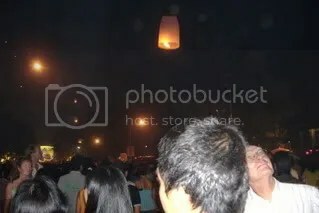 Seems to me, to probably be chinese lanterns/ufo balloons. “I would describe it as like a bright orange glow. You could by the way it was moving that it wasn’t a shooting star or a meteor” (extract from article). Another possible chinese lantern/ufo balloon sighting was reported in thisislincolnshire.co.uk here (posted 1st march).